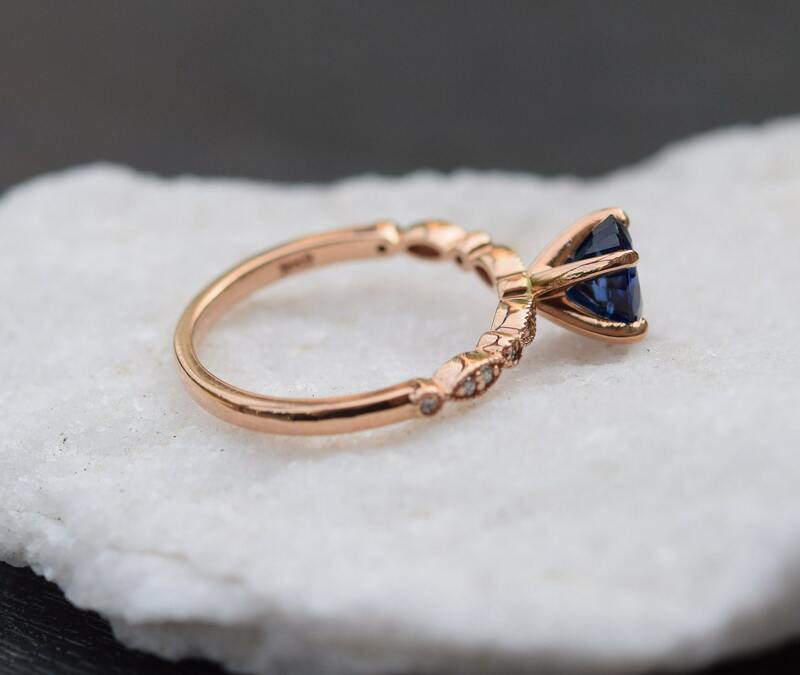 Rose gold sapphire ring. 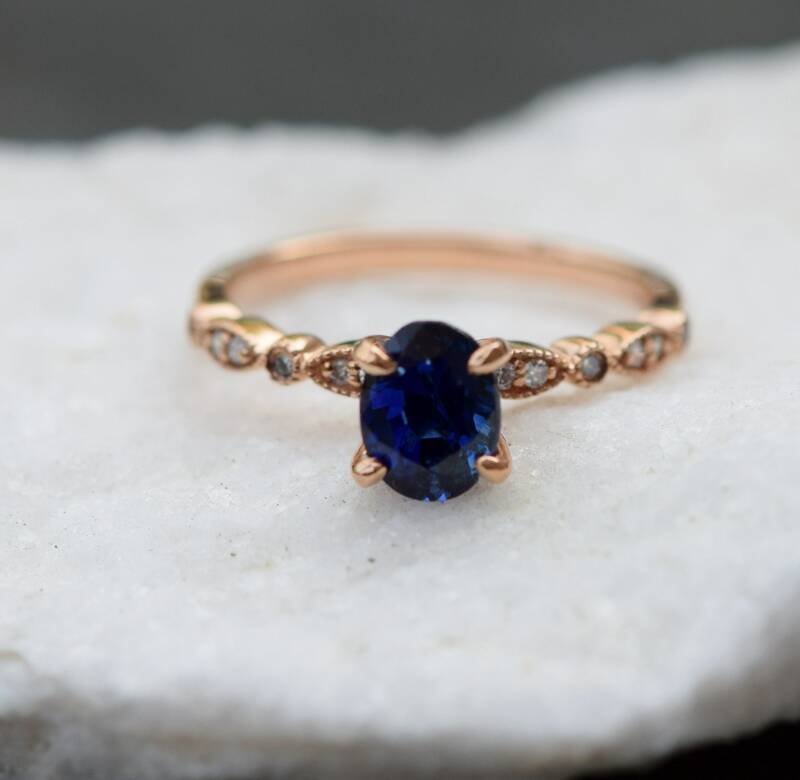 1.2ct Royal blue sapphire diamond ring 14k rose gold oval engagement ring by Eidelprecious. Something Blue. 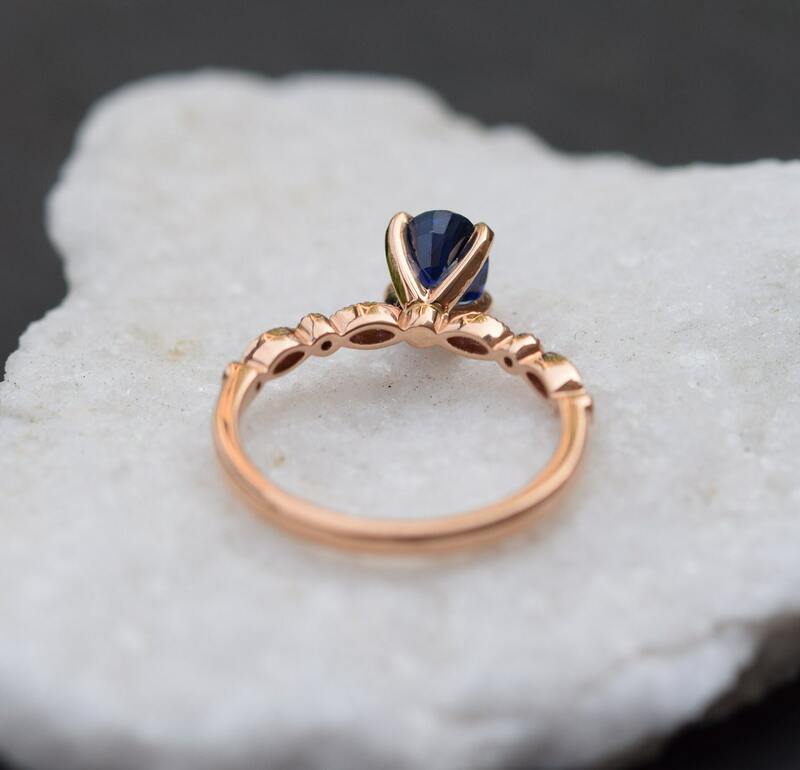 Rose gold sapphire ring by Eidelprecious. Something blue. The sapphire is awesome! 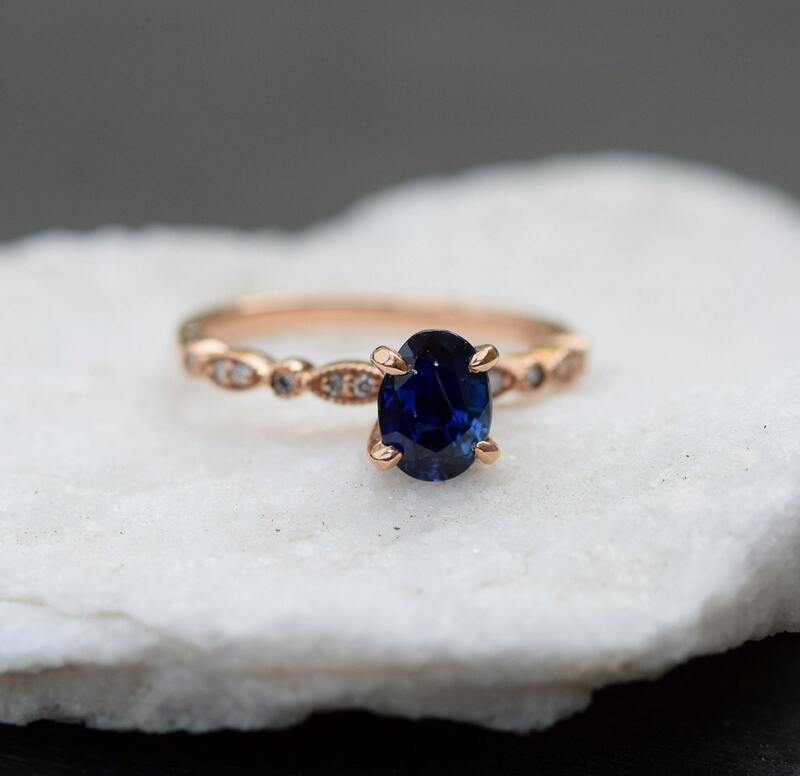 Natural unheated sapphire, vibrant royal blue color, 1.2, SI, oval cut. The setting is 14k rose gold, TDW approx.0.1ct, SI/H.